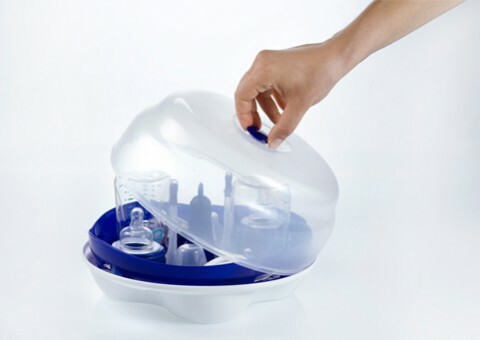 The smart sterilizer sterilizes perfectly with just a small amount of water. 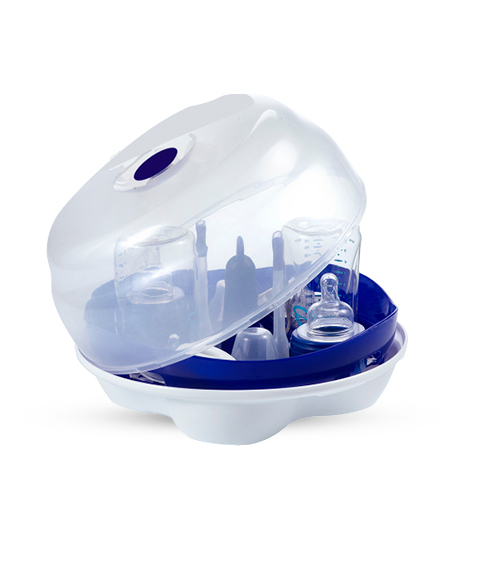 The smart sterilizer is made of strong, durable plastic that is free from Bisphenol A (BPA). 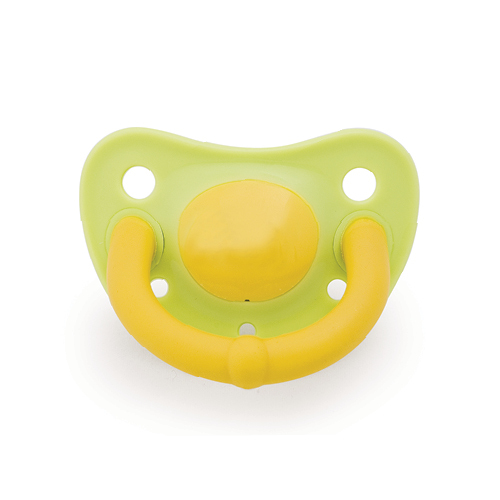 Doesn’t overheat – perfect for safe opening of the lid after sterilization. 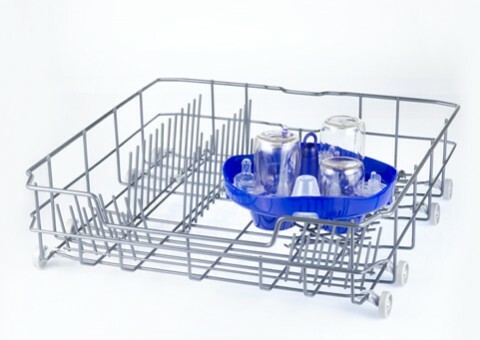 The tray is perfect for arranging your bottles and all their parts and placing them in the dishwasher. Also perfect as a drying rack. 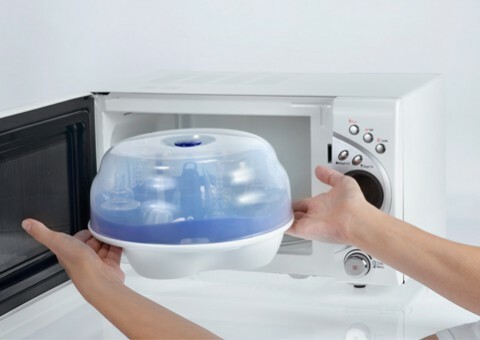 Simply add water and place in the microwave for just 4 minutes. 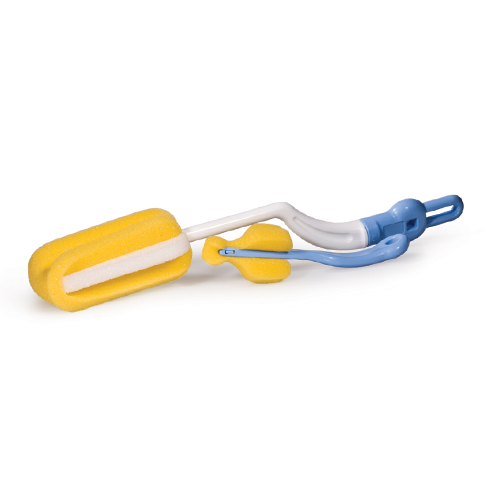 For safe removal from microwave after heating. 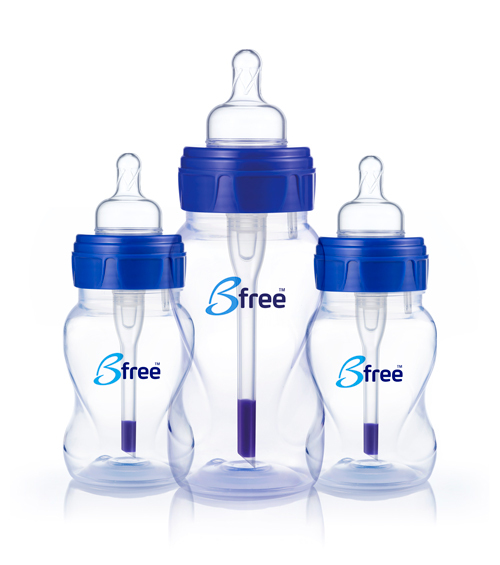 Designed to hold 4 Bfree bottles and all their parts, as well as other brands of bottles. "It's nice to have something so fast. 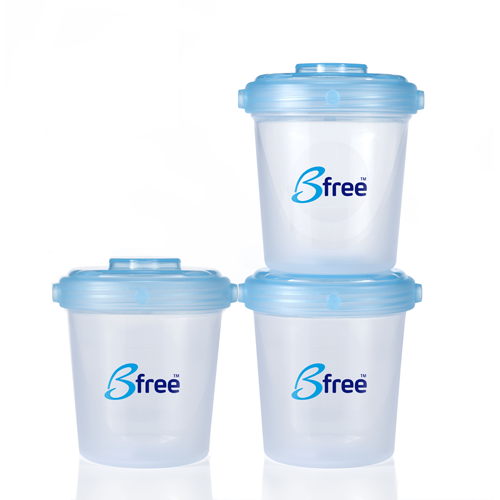 I can get the sterilization done in less than 5 minutes and use the bottles pretty much right straight away."